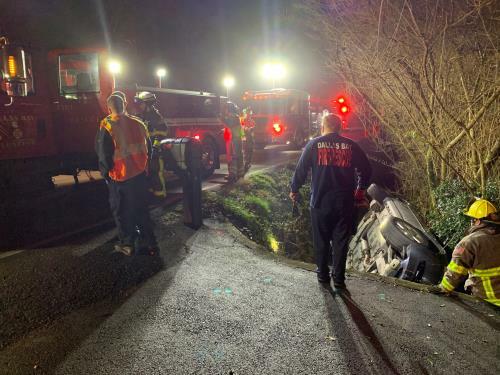 A man was rescued from a vehicle early Saturday morning after being trapped for several hours in a Hixson ravine. 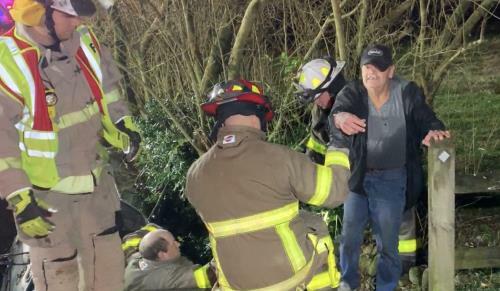 Authorities said he was trapped for about two hours at 5900 Gann Road. Emergency personnel from Dallas Bay were finally summoned to the scene. The front windshield had to be cut out so he could be freed. The man was able to walk out on his own. However, he was transported by ambulance to the hospital to be checked out.